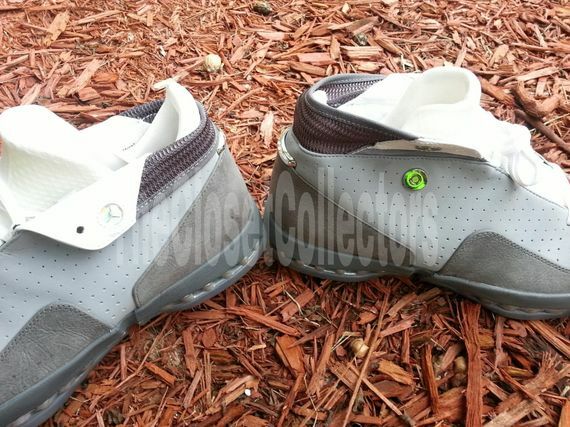 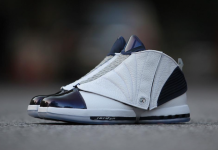 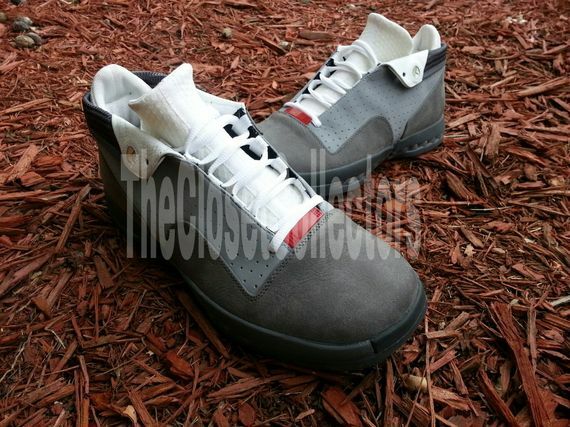 A sample Air Jordan 16 Low has surfaced in a Stealth/Cool Grey colorway. 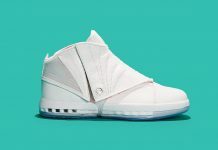 The grey based shoe is made up of perforated leather and leather upper, and features a white inner booty and liner. 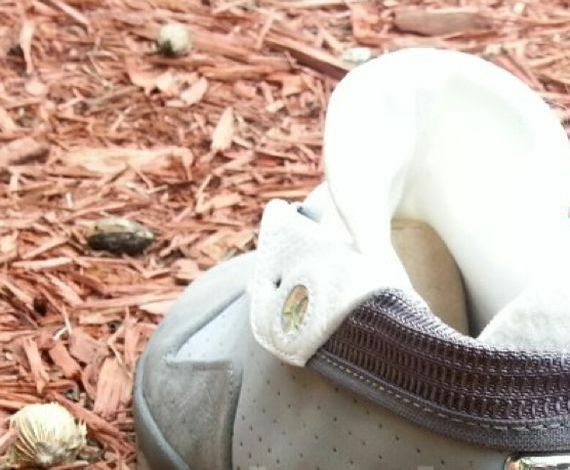 Touch ups like a red lace plate on the toe as well as green buttons add some color to the mostly neutral shoe. 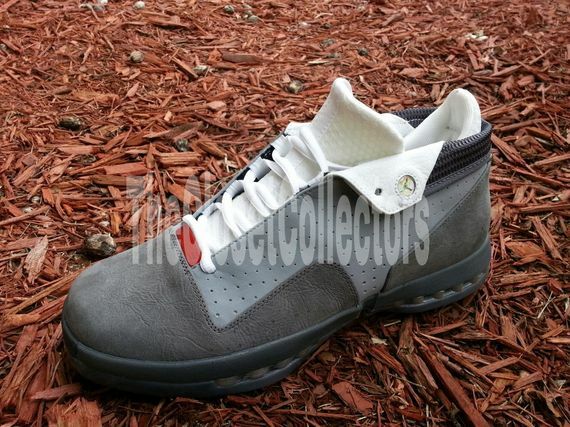 Not many examples of the 16 Low were made, so its an odd choice for a retro, but still a nice looking one at that. 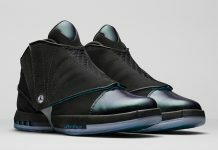 These have not yet been slated for a release date, and could drop anytime in 2013 or 2014.